The term “Black Box” is used most commonly in connections with an aircraft’s event data recorder that helps determine the cause of an airplane crash. Event Data Recorders or Black Boxes are no longer used exclusively in aircraft. At this time, there is no federal law mandating that every vehicle manufactured and sold in the United States come equipped with a Black Box Recorder. However, automobile manufacturers voluntarily install this safety equipment. Today, almost 96% of all new motor vehicles are equipped with a Black Box Recorder as a result of a unified effort on behalf of the National Highway Traffic Safety Administration (NHTSA) and automobile manufacturers to increase the safety of vehicular travel. Therefore, there is a high probability that the car you are driving, especially if it is new, has a Black Box Recorder installed. If you are unfortunately involved in an accident, your car’s Black Box Recorder may have recorded data that will help you prove your claim for damages. Wyoming personal injury attorney George L. Arnold with Arnold Law Offices in Evanston and Rock Springs, Wyoming, possesses the skill and experience to access your car’s Black Box Recorder and use the data collected for your benefit. Black Box Recorders are designed to enhance the safety of the motoring public. While the unit records continuously, the data is only saved upon the occurrence of a “major event,” such as a crash or airbag deployment. 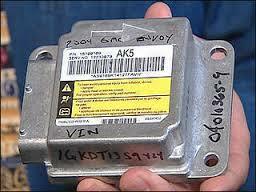 The Black Box Recorder in an automobile does not save data regarding the entire trip. The Black Box Recorder only saves data from about 5 seconds prior to a crash to 2 or 3 seconds after the crash, depending upon the Black Box Recorder‘s settings. 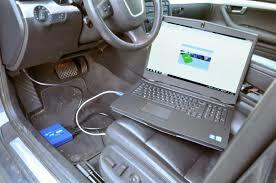 According to the NHTSA, Black Box Recorders are designed to save data which can then be used to analyze the speed of the vehicle; the number of occupants; change in speed from before and after the crash; the engine throttle; whether the vehicle’s safety features, such as air bags and seat belts were used; and whether the braking systems were functioning properly. Another important function of an Black Box Recorder is integrated with a system designed for automatic notification of a crash. Federal law requires that all Black Box Recorder data must be uniformly recorded and analyzed according to the parameters established by the NHTSA to ensure accuracy and universality of the data. After a crash, the Black Box Recorder‘s data may be retrieved and stored to a computer and then analyzed. This data, if properly analyzed and preserved, may be used as evidence in court. The data may explain what was happening with the vehicles immediately prior to the crash. For instance, if one car strikes another and both drivers allege the other is at fault, the Black Box Recorder from both vehicles may break the stalemate. The data might show that one driver applied the vehicle’s breaks 5 seconds prior to the crash, causing the car to decelerate in an attempt to avoid the crash. Conversely, the other driver’s Black Box Recorder may show that the driver applied the brakes merely 1 second prior to the crash and prior to doing so, the Black Box Recorder shows the car was accelerating. The juxtaposition of the data may prove that one motorist was operating safely while the other was distracted despite claiming they were safely operating. This simple example demonstrates the utility of the device not only for motorists who were injured in an accident, but the data may also be used in criminal prosecutions as well as insurance fraud investigations. Additionally, the NHTSA may use the crash data to determine survivability of crashes leading to the development of additional safety measures. Several questions have arisen with the advent of Black Box Recorders. Some answers were resolved when President Obama signed the “Driver Privacy Act of 2015” into law on December 4, 2015. The law grants ownership of the data collected by a vehicle’s Black Box Recorder to the owner or lessee of the vehicle. Additionally, the law creates a right of privacy in the data. Consequently, the data may be retrieved by consent of the owner or lessee, judicial order, or transmitted for study provided that the privacy of the owner is protected. Wyoming personal injury attorney George L. Arnold with offices in Rock Springs and Evanston will fight for you if you or someone you love suffered personal injuries in a crash. Attorney Arnold possesses the knowledge and experience to use the data from your car to help prove your case. With technology on your side, Attorney Arnold will zealously advocate for the monetary award you deserve. Call Attorney George L. Arnold today at 307-789-7887 or 307-392-2002 to schedule an appointment and learn what a difference experience makes. 1. 49 C.F.R part 563 et seq.